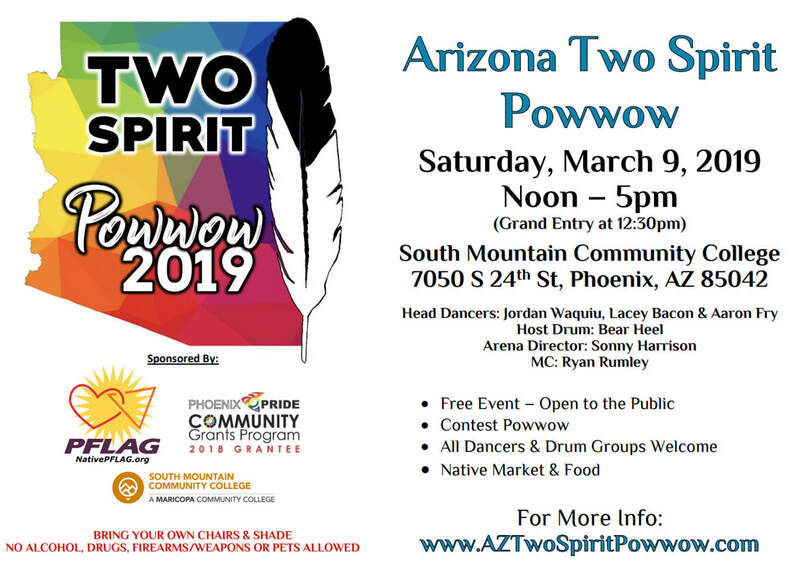 Thank you for joining us at Arizona's 1st Two-Spirit Powwow! 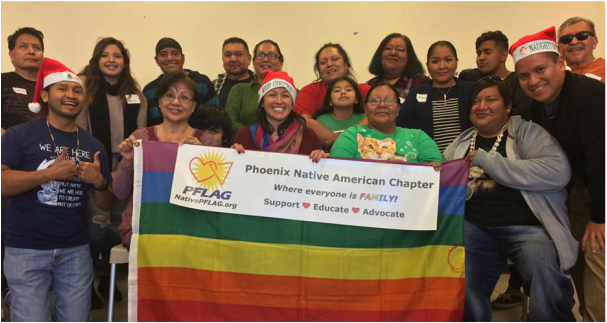 Native PFLAG is the only PFLAG chapter in the country that focuses on supporting Native American LGBTQ/Two-Spirit individuals, their family members and friends. To be notified of our events/meetings please fill in the information below. All are welcome to join us! Also check us out on FACEBOOK! A big "Thank you!" to The Coronado PHX for your donation to our organization! Your food is delicious and your staff is amazing! Thank you for being part of our Native PFLAG family. We are looking for new leaders for 2019. If you are interested, please contact Native PFLAG at 602.492.3264 or by email (nativePFLAG@gmail.com). We will continue to be a resource on-line and available for education/support. Thank you for joining us for our 7 year Anniversary! Thank you for joining us for the 2018 Phoenix PRIDE Parade! ​Happy Holidays and a Happy New Year! Thank you to those that came out to help us kick off the 35th Annual NARD Parade! 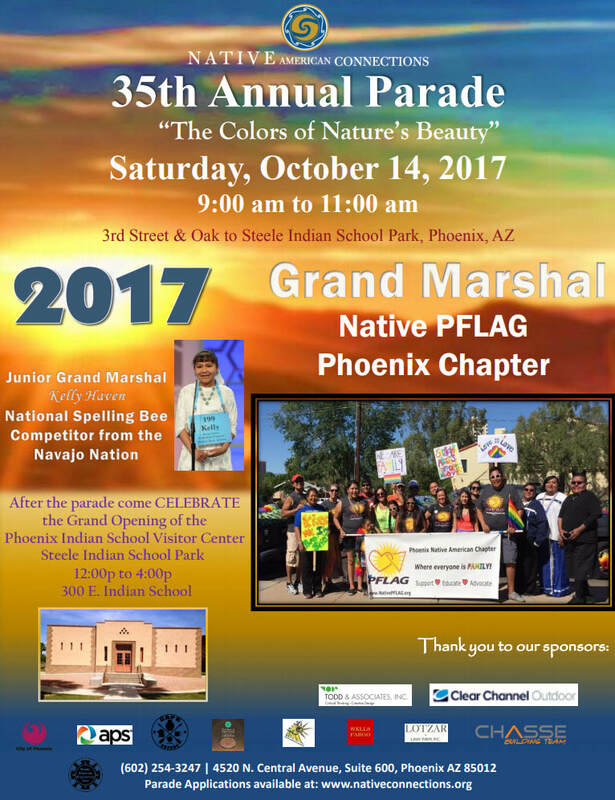 2017 NARD Parade Grand Marshal - Native PFLAG! Thank you for coming out to our 6 year anniversary celebration! 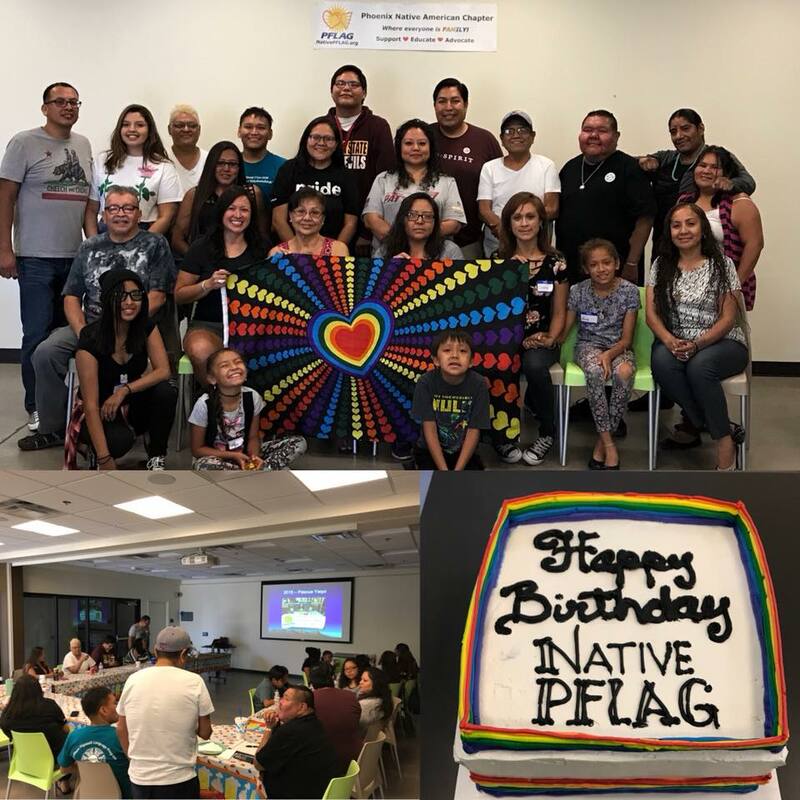 We had a great time with our Native PFLAG family! 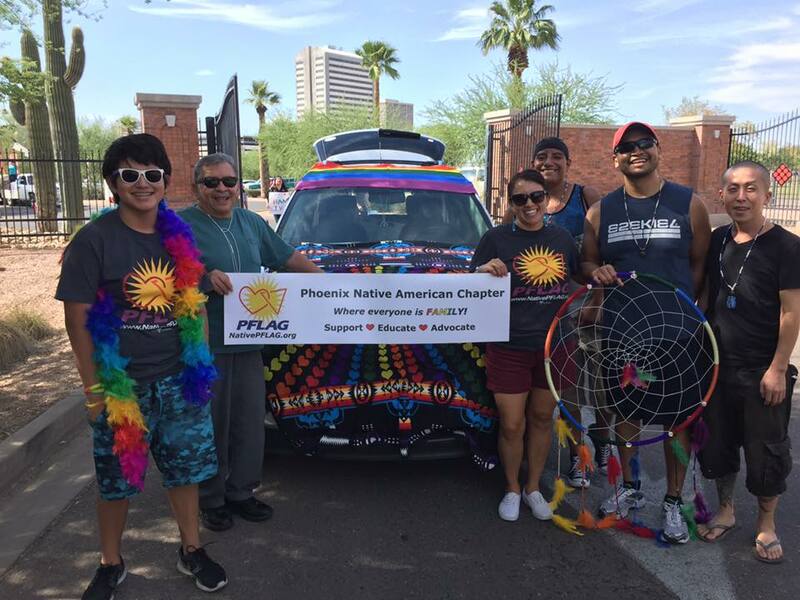 Thank you to everyone that came to march with Native PFLAG at the Phoenix PRIDE parade! A special thanks to our sister groups, Salt River L.O.V.E. and H.O.P.E. Gila River, Mrs. Apache Diva, Miss Indian Transgender AZ, and Miss Twisted Peacock Pride 2017! Thank you to all that came out to our 2016 holiday celebration! A special thanks to H.O.P.E. for hosting our games. We wish all of you a very happy holidays. Our next meeting will be in February 2017 so if you need any support please feel free to reach out. Thank you to those that joined us for the 2016 Native American Recognition Days Parade! By submitting this form, you are granting Native PFLAG Phoenix permission to email you. You may unsubscribe via the link found at the bottom of every email. Your email information will be kept confidential.